The Como Railroad Depot is one of three surviving structures listed on the National Register of Historic Places in 1983 as part of the Como Roundhouse, Railroad Depot and Hotel Complex. The Denver South Park & Pacific Railroad (DSP&PR) arrived in Como by 1879, and it is believed the Depot was built some months earlier. The railroad line extended over Boreas Pass and eventually into Leadville, and by then Como housed the most important facilities for the DSP&PR outside of Denver. Como remained vital for decades due to constant railroad traffic; train service operated 24 hours a day and the town grew exponentially due to its role as a key switch and maintenance site. Reduced mining activity and the completion of Colorado Highway 8 (now U.S. Highway 285) from Denver to Buena Vista, began the decline of Como beginning in the late 1920s. Trucks and buses diverted freight and passengers from the railroad. In 1937, the DSP&PR was abandoned ending the railroad era in Como. As with many Colorado mining towns, Como declined but was never fully abandoned. The Depot has been out of use, except for storage, since 1937 when the last train passed through town. Under previous ownership, it suffered from neglect, natural weathering, and deterioration until 2008 when the current owners, David Tomkins and Moya Cleaver, acquired the Depot and adjacent Hotel property. They have since set in motion the restoration of both buildings that sit on a single lot and were originally connected by a fence and wooden platform. The platform disappeared about 1910 and the fence remained until the end of railroad operations in the late 1930s. The Depot is symbolic of our Nation’s past reliance on the railroad for transportation and commerce exchange and is inextricably bound to the history of Como, its residents, and the surrounding cultural landscape. The Depot retains much of its historic integrity and boasts original freight doors, a telegraph office, freight and ticket rooms, original interior paint, telegraph wires, interior window and door pediments, doors, and fixtures. The Como Railroad Depot was placed on Colorado’s Most Endangered Places List in 2006 and the new owners welcomed Colorado Preservation, Inc. to organize volunteers over two weekends which ultimately stabilized the Depot in 2008 by cleaning, bracing, patching the roof, and boarding of windows and doors. Following the successful stabilization, Colorado Preservation, Inc. received grant funds from the State Historical Fund for Phase I exterior restoration (mainly structural and foundation repairs), which was completed in 2009. Currently Phase III of the exterior restoration of the Depot is going on. This final scope of work includes restoring the windows and sashes; man doors and sliding freight doors; exterior siding; roof eaves; gables; brackets; gutters; interior walls and ceiling surfaces; floors; reconstruct the switchman’s hut; wooden platform and connecting fence. Phase II included structural stabilization of the north addition, brick masonry repairs and reconstruction of the chimneys, and re-roofing. 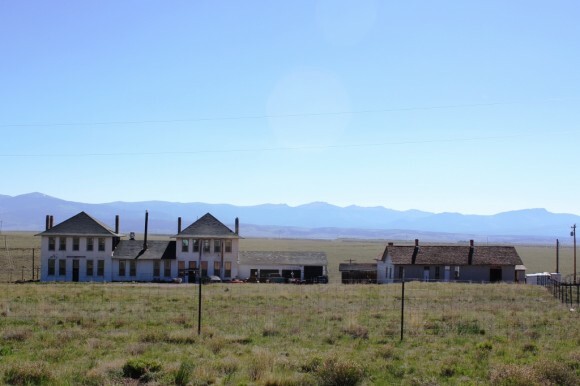 As an integral part of Park County’s Heritage Tourism Initiative and the newly designated South Park National Heritage Area, the Como Depot is a popular destination drawing local, national, and international attention. Restoration of the Como Depot has generated strong partnerships and wide public support. Phase II further stabilized the threatened building, advance the project’s positive momentum by maintaining visible progress, and contribute to the economic revival in Como and Park County by highlighting historic preservation as part of their heritage tourism goals. This project has been supported by numerous funders including the Denver South Park and Pacific Railroad Historical Society, Park County and the Park County Tourism Board, the owners, the National Trust for Historic Preservation, the State Historical Fund, Colorado Mountain College, the U.S. Forest Service, and private donors. The Colorado Department of Transportation has also granted the Como Depot restoration project funds to complete the exterior restoration and reconstruct the boardwalk that historically connected the Como Depot to the adjacent Hotel. The owners will be seeking matching funds to CDOT to complete this project this year.